Employees join on different dates and this makes it difficult to provide a new hire onboarding immediately upon joining. Typically, new hire onboarding is done weekly or monthly, once a viable number of new hires are accumulated. Meanwhile, many “yet to be onboarded” new employees already start to feel disengaged. With new hires joining across geographical locations, presenting a consistent onboarding experience is not just a logistical nightmare, but also economically unfeasible. Moreover, as businesses are becoming more virtual and distributed, the need for online communities for collaboration and learning is becoming even more important. The average attention span of learners has declined by almost 33 per cent over the last decade. 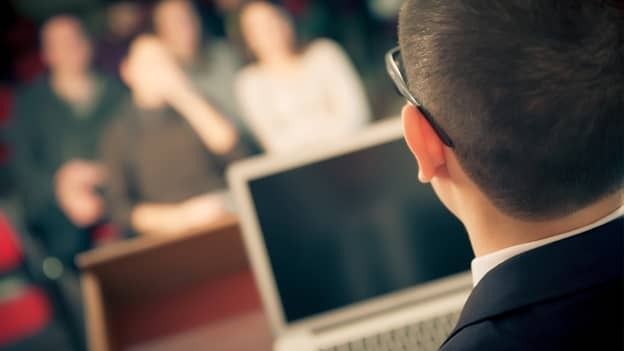 Hence, the classroom training or e-learning/computer-based training model, which requires undivided attention for 30-60 minutes, does not match the expectations of the next generation employee. Given today’s business demands and gruelling schedules, companies cannot afford long training schedules to get new hires up to speed. The sooner a new hire gets productive, the better it is. After MindTickle conducted extensive research on user-interaction with games vs. non game based employee training and engagement products, it was apparent that the combination of game mechanics and social mechanics can be very effective in influencing employee behaviour in an online environment. Building on these concepts and research results, MindTickle implemented a software-as-a-service (SaaS) platform for absorbing and delivering new hire training content on a variety of topics ranging from the history, vision, culture and policies of the organisation to industry and technical training. MindTickle has also combined its user-experience with deep analytics that allow tracking of engagement and participation levels of the new hires, thereby providing an opportunity to the organisations to objectively evaluate and monitor the success of their new hire onboarding programmes through a real-time dashboard. With consistent completion rates as high as 95 per cent, the new employees onboarded on the MindTickle platform consider the MindTickle approach a more effective medium than traditional alternatives.